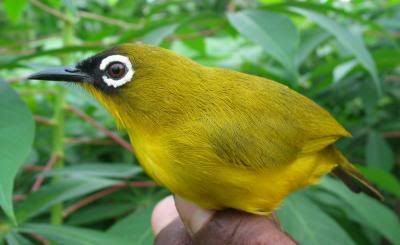 The splendid white eye (Zosterops splendidus) is only found on the island of Ranongga in the Solomon Islands but a team of researchers labeled it as the world’s greatest avian speciator. What they meant was that it contributes to forming a new species at a faster rate than any other bird. Most birds are confined in a specific geographic region but white eyes are all over the place and have diversified onto multiple continents and islands spanning much of the eastern hemisphere according to the National Academy of Sciences.